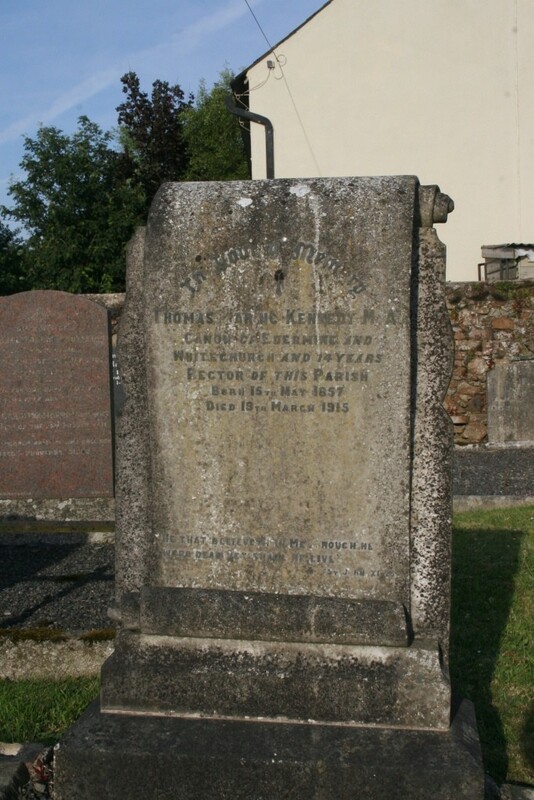 Headstone stone maker: T.Travers Gorey. 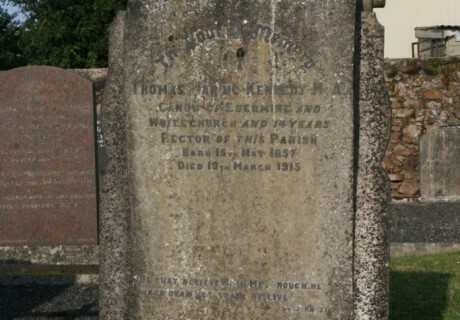 In loving memory of Thomas Waring Kennedy M.A. Canon of Edermine and Whitechurch and 14 years Rector of this parish. He that believeth in me though he were dead yet shall he live. St John XI, 25.